Note: Dr. Wakefield published in the Lancet that 12 autistic children had measles virus in their guts. Because the stain of measles virus was identical with MMR measles strain, Wakefield's study implicated the MMR vaccine as a cause of autism. In spite of Dr. Wakefield's denial that this finding proved that MMR is a cause of autism and his conservative call for more studies, none the less his work started a chain of persecution. One of the shameful aspects of what was a witch hunt more than it was a genuine trial, was the charge that Dr. Wakefield had not declared a conflict of interest in his Lancet article. It developed that the GMC did not have a "conflict of interest" policy and did not adhere to common sense avoidance of conflict of interests in their own proceedings. Read the article here. Essentially, the trial of Dr. Wakefield is an example of "justice" when the court is controlled by one or more pharmaceutical companies. British Medical Journal has failed to acknowledge its own competing interests the Wakefield affair, and have failed to publish a letter pointing out their neglect. For years Andrew Wakefield has been vilified and persecuted for publishing an article in Lancet on February 28, 1998. It was with some surprise that I recently discovered that there had been 15 reports filed with VAERS prior to December 31, 1997 by parents stating that their children had developed autistic symptoms after receiving MMR vaccines in the United States. Julia Ahier of the Lancet 12 speaks out! "I think that Dr Wakefield has only tried to help these children he has not done anything which we as parents did not want him to do. The allegations were unjust because they did not arise from anyone who had medical investigations carried out on them or their parents. (NaturalNews) New documents have emerged that clear Dr Andrew Wakefield of the allegations of fraud recently made by the British Medical Journal and its reporter Brian Deer. This new evidence "completely negates the allegations that I committed scientific fraud. Brian Deer and Dr. Godlee of the British Medical Journal (BMJ) knew or should have known about the facts set out below before publishing their false allegations," says Dr Andrew Wakefield (see sources, below). Richard Deth is a professor of pharmacology in the Bouvé College of Health Sciences and the School of Pharmacy at Northeastern University. His research suggests that vaccines containing aluminum and/or the mercury-based preservative thimerosal could contribute to the development of autism in children who lack the genetic capability to excrete neurotoxic metals. The MMR vaccine does not contain aluminum or thimerosal. Deth, who is currently attending a vaccine safety conference with Wakefield and other scientists, clinicians and legal experts, offers his response to the controversy. Is there a vaccine-autism link? Is Andy Wakefield a crazy man? The gap I see, as a nutrition professional who has worked with children with autism for twelve years, is in a willingness to open our minds, to consider studies that corroborate Wakefield’s work. I am weary of doing the literature search over and over, handing out these links (below) again and again – the ones the media ignore so handily. Your pediatrician likely doesn’t know that Wakefield is not alone. I challenge physicians out there to pause, breathe, read the studies, and wonder. Think it through: What if he’s right? I do not feel tremendously eloquent after sitting through the morning’s proceedings at the UK’s General Medical Council. I am at least heartily relieved that Simon Murch’s ordeal is over – a great and caring man, and I believe the treatment of John Walker-Smith, if not Andrew Wakefield, will have immediate repercussions within the profession. Walker-Smith, with Alan Walker of Harvard Medical School is widely regarded as the founder of paediatric gastroenterology as an independent field, and the European Society for Paediatric Gastroenterology, Hepatology and Nutrition recently made its feelings known by awarding Prof Walker-Smith its first distinguished service medal, on the commendation of Prof Walker – Prof Walker-Smith was informed of this in March and he will receive the medal at a ceremony in June. We can only wonder at the gang of time-servers and bureaucrats who saw fit to call into question his clinical judgement at more than a decade distant, without talking the patients’ parents, looking at the children or investigating their subsequent medical history. In 1998 the Lancet published a short case series of 12 autistic children admitted to the Royal Free Hospital (RFH) in London for treatment of bowel symptoms.1 The paper was one of the first to bring to the medical community's attention an unexplained association between autism and bowel disease, describing the children's clinical findings and noting that parents timed the onset of eight of their children's conditions from the MMR vaccination. Following evidence from the prosecution and defence in the largest and most expensive hearing in the GMC's history, the fitness to practice (FtP) panel faced the apparently small issue of deciding which of two ethical approvals applied to the 1998 Lancet paper: approval 162-95 in 1995 or approval 172-96 in 1996. For the doctors, however, this one year's difference was momentous, even after 15 years of passing. The entire case would be won or lost on this one decision. The doctor at the centre of the MMR row has defended his work, saying the case against him was driven by a desire to "crush dissent". Dr Andrew Wakefield said the General Medical Council (GMC) hearing was about protecting the Government's MMR vaccination policy and some of the GMC's findings on the case were "false". The GMC is due to resume its hearing into his research on MMR and autism. It will decide whether he and two colleagues, Professors John Walker-Smith and Simon Murch, are guilty of serious professional misconduct and should be struck off the medical register. The panel is expected to make its final decision in June but will hear submissions from GMC lawyers and representatives for the doctors in the next few days. "In 1990, scientists from the Queen’s Medical Centre Nottingham found some children developed a form of meningitis after receiving it. But despite this the Government went on using it for more than two years. The Canadian Government, also using the vaccine, immediately switched to a safer version. It was not until September 1992 that the UK Department of Health issued pharmacists with emergency supplies of a safer brand with instructions to withdraw existing batches." Two tenets of today’s health care are that a human immunodeficiency virus (HIV) causes AIDS and vaccines are effective and safe. Investigators who have the temerity to question this official dogma see their work blocked from publication, grant requests rejected, and in one signal case can even find themselves being subjected to a Soviet-style show trial. Andrew Wakefield (b. 1957) recently underwent such a trial in the UK held by its General Medical Council (GMC) Fitness to Practice Panel. Along with two other well-respected gastroenterologists, he was subjected to the longest, most expensive trial in that council’s 148-year history. There is one unifying factor affecting children, from sea to shining sea. It's not genetics; genetics between families are different. It's not environmental exposures; some kids live in the projects, some live in gated communities. It's not food; some kids eat only organic, some mostly McDonalds. It's not exercise; some kids are athletes; others are couch potatoes. What touches almost all children and is the most likely 'smoking gun' for the epidemic of chronic illness and autism across North America (and beyond), are childhood vaccinations. Dr. Andrew J. Wakefield's findings of gastrointestinal pathologies in a subgroup of children with autism are very important. His persecution by the GMC is akin to the persecution of Semmelweis. The Petition's presentation to the GMC will occur on 15th March. Dr. Andrew Wakefield announced today his intention to move on to a new phase of leadership in the autism community as he also prepares a more aggressive defense of his scientific accomplishments in the wake of a ruling from the U.K.’s General Medical Council (GMC). Submitted by Teresa Binstock on February 9, 2010 - 9:03am. The original findings of enterocolitis in many but not all autistic children has been replicated several times (eg, 1-3). Furthermore, a month after Wakefield et al was published in The Lancet (Feb 1998), the journal Pediatrics published a study reporting that among various vaccines related to mumps, measles, and rubella, the MMR was by far the most likely to induce neurologic damage or even death (4). The abstract of that study is available free online and merits perusal, as does the whole-text article (4). Wakefield et al's speculation about a possible autism-MMR connection was not as far afield as The Lancet retraction would have us believe. Furthermore, two newer studies have documented associations between HepB vaccinations and autism and also the need for special education services (5-6). The question is really not "What took the Lancet so long?" The question is: “Why did the GMC take so long and spend all this money and effort without interviewing all available parents and grandparents of the children who supposedly were tortured and traumatized at the GI unit at the Royal Free Hospital?" Take me for example. I am the grandfather of one of those children. I am a pediatrician, a former assistant clinical director of a teaching hospital and a former director of pediatrics in a community hospital. I know and understand “Quality of Care” inside out: I taught it to residents and required it from staff. I certainly can state without hesitation that we were always treated with utmost courtesy and that our boy received outstanding care at the Royal Free. Thanks to Professor Murch, who was his doctor, the awful GI difficulties subsided gradually and never recurred. Sometimes Professor Walker Smith would see him in coverage and help us immensely. Both gentlemen were at all times caring, kind, courteous and as everyone knows most knowledgeable. I also met Dr. Wakefield at the time and was thoroughly impressed with his on-going research and his prior achievements. I have yet to find a single valid reason for his persecution. Our family was simply jubilant when our big boy was accepted in the “study” and we can attest that all his testing was justified, fully and clearly explained and expertly carried out. He was never hurt or injured in any way. In fact he looked forward to his trips to Hampstead. If after all this time we were asked to summarize in one word our Royal Free experience that word would be “SPECTACULAR”. Now if I had to describe in one word my perception of the GMC hearings, that word would have to be “OUTRAGEOUS”. What is happening to Professor Walker-Smith, Professor Simon Murch and Dr. Andrew Wakefield, three dedicated and wonderful physicians is unjust, unfair and unforgivable. Why did the Lancet take so long? On 28 February 1998 the Lancet published a study with the inauspicious title "Ileal-lymphoid-nodular hyperplasia, non-specific colitis, and pervasive developmental disorder in children. "1 The paper has been much criticised, and the Lancet finally retracted it this week. But why did it all take so long? Here we expose one of the biggest lies of this century. The claim that The Royal Free Hospital London’s and Andrew Wakefield’s research into children with autistic spectrum disorders was ever “discredited” are shown here to be false. We provide the references. The false “discredited research” claims were first made in The Sunday Times London. The result of The Sunday Times’ “journalism” – republished wrongfully around the world ever since – has been that hundreds of thousands of children suffering these medical conditions are being denied the medical help they need but which is available. “external issues that might have the potential for serious impact upon the group’s business and reputation “:[ James Murdoch takes GlaxoSmithKline role - Chris Tryhorn The Guardian Monday 2 February 2009. Some have now dubbed the paper "The Sunday Glaxo". The principal findings of the eminent team of 13 authors from The Royal Free Hospital, London a teaching hospital with an international reputation were published in a 1998 Lancet journal paper. These were of "intestinal inflammation" in children with an autistic spectrum disorder [pervasive developmental disorder] and “intestinal symptoms”. The findings have also been replicated by other researchers [references below] and have never been retracted or discredited. Not one of the 13 authors has ever retracted those findings. The additional possibility of a link between the MMR vaccine, autism and the “Lancet children’s” conditions was raised in the 1998 paper in a single sentence as an “Interpretation” under that express heading. Despite this and under severe pressure from UK media health and medical authorities, 10 of the 13 authors “retracted” the “Interpretation“ in the hope that would put an end to the matter. Three of the authors did not retract the “Interpretation“. The principal finding of the Lancet paper was made by Dr Dhillon at The Royal Free Hospital who was and is independent of Dr Wakefield [intestinal pathology (inflammation and lymph node swelling) in children with an autistic spectrum disorder [pervasive developmental disorder] and intestinal symptoms]. This was revealed in the long running General Medical Council proceedings against eminent gastroenterologists Professors Murch, Walker-Smith and Dr Wakefield. The Sunday Times must also know this as their journalist Brian Deer has been present at almost every day of the proceedings. In his evidence in the General Medical Council Dr Horton said he had the highest regard for the method in the 1998 Lancet paper. Horton said the Lancet paper was an excellent example of a ‘case series’. That this was a standard and an entirely reputable way of reporting on a possible new syndrome. He likened it to how the first cases of HIV/AIDS were reported in the early 80s and how the new variant CJD issue broke more recently. He said unequivocally that the science reported in the 1998 Lancet paper ‘still stands’ and that he ‘wished, wished, wished‘ that the clock could be turned back and the paper be considered in the light it was first presented, without everything that followed. Horton was happy to say that Dr Wakefield had been honest throughout his dealings with the Lancet. Furlano R, Anthony A, Day R, Brown A, Mc Garvey L, Thomson M, et al. “Colonic CD8 and T cell filtration with epithelial damage in children with autism.“ J Pediatr 2001;138:366-72. The editors of Medical Veritas journal have condemned The Lancet's retraction of the controversial study by Dr. Andrew Wakefield, charging editor Richard Horton with pandering to special interests in a conspiracy to defraud the public about the risks of vaccinations. Reporting from London - The British doctor whose suggestion of a link between the MMR shot and autism helped cause vaccination rates to plunge conducted his now-discredited research in a dishonest and irresponsible manner, medical authorities here concluded Thursday. Read rest of story here: www.latimes.com/news/nationworld/world/europe/la-fg-britain-autism29-2010jan29,0,3310185.story? THE doctor accused of professional ­misconduct over his work suggesting a possible link between the MMR vaccine and autism has vowed to “redouble” his research on vaccine safety and the “plight of sick children”. Dr Andrew Wakefield and two colleagues sparked a 12-year controversy after publishing findings on the combined measles, mumps and rubella ­vaccine in the respected medical journal The Lancet in 1998. The General Medical ­Council ruled last week that he abused his position by subjecting children to invasive tests while researching the possible link between MMR, bowel disease and autism. He faces being struck off the medical reg­ister. Dr Wakefield, 53, who is continuing his research in the US, is unable to speak to the press for legal reasons. However, he told a close friend: “I am now more determined than ever to focus on the science of vaccine safety and the plight of autistic children who are desperately sick with bowel disease.” He also told the friend: “My focus has always been listening to parents, helping children and getting the science on vaccine safety right. This verdict will deter anyone who is looking at cutting-edge medicine in teaching hospitals. Dr Wakefield’s research led to a ­dramatic fall in the number of children being given the MMR jab. The ­Government has since tried to reassure parents that the jab is safe. Surprise, surprise, the doctor who highlighted a possible link between the MMR vaccine and autism has been found guilty of a series of misconduct charges. Well, Dr Andrew Wakefield didn't stand a chance, did he? Not up against the might of the medical profession. He has been branded dishonest, irresponsible and that he showed a "callous disregard" for the suffering of children. Odd, then, that he now continues to work in the field of autism in Texas, where he set up Thoughtful House, a non-profit autism centre. His passion for the subject, and refusal to abandon children with autism to a life of respite care and pity, earns him plaudits from parents grateful for his work. His aim, he says, is still "to provide the best possible treatment for these children and to conduct research in order to ensure continuing improvements in the quality of treatment available". The General Medical Council (GMC) verdict, which ruled that Wakefield and two eminent colleagues, Professors John Walker-Smith and Simon Murch, had acted unethically, did not investigate whether Dr Wakefield's findings regarding a possible link between MMR and autism were right or wrong. It focused on the methods of research used, some of which were undoubtedly questionable, but which were performed in the name of finding solace for desperate parents convinced their children had changed for ever following their one-size-fits-all MMR injection. Dr Wakefield has said the findings were "unfounded and unjust" - and he was backed by parents who, rather than thinking him to be dishonest and irresponsible, actually consider him to be a hero who might eventually guide them out of a long, dark tunnel of despair and disbelief. In court after the verdicts were read, one woman shouted: "These doctors have not failed our children. You are outrageous!" And outside another said: "They were just trying to protect our children." The doctor who sparked the MMR controversy faces being struck off for showing a ‘callous disregard’ for the suffering of children. 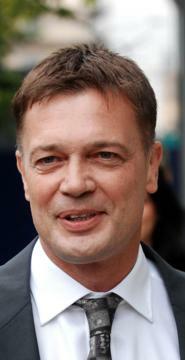 Andrew Wakefield, who first linked the triple jab to autism and bowel problems, acted ‘dishonestly and irresponsibly’ when publicising his research, the General Medical Council ruled yesterday. Its verdict at the end of the longest and most expensive hearing in its 148-year history was supposed to draw a line under the 12-year saga provoked by his study of 12 autistic children published in the Lancet. Instead there were extraordinary scenes as parents at the hearing voiced their support for the doctor. Dr Wakefield did not attend the reading of the verdict but appeared outside the GMC’s central London headquarters, and was followed down the street by chants of ‘For he’s a jolly good fellow’. The doctor later said he was ‘extremely disappointed’ and branded as ‘unfounded and unjust’ the allegations against him and two research colleagues. Dr Wakefield’s supporters claim he was the victim of a witch-hunt because none of the families featured in the controversial study complained to the GMC. The parents of the children he treated say he is guilty only of doing his job properly. As the GMC announce their findings that Dr Andrew Wakefield "failed in his duties", he talks to Cassandra Jardine. “That’s baseless conspiracy-mongering”, some might counter, contending that any anecdote I might dig up is simply the normal process of scientific quality control. “Welcome to the real world”, I respond, because this is something entirely new and disturbing. The deep and profound censorship occurring around autism science reaches depths that few casual observers can imagine. There are no words to describe the findings of the General Medical Council (GMC). All I can say is that none of us should be surprised. The stakes had escalated far too high for the British medical establishment to countenance any other outcome. In the face of this parody of real justice, the only thing for the autism community to do now is stand by Andy Wakefield. Like him, we must not be intimidated; which is why I am proud to call Andy my friend. He is all of our friend. We must also not forget two other fine men, John Walker-Smith and Simon Murch, men who have devoted their professional lives to healing the guts of sick children, and whose public reputations stand in tatters before the world, assaulted by the public health propaganda machine, victims of a modern day show trial. The GMC proceeding is a frightening and thoroughly modern form of tyranny. It makes you shudder to think what Stalin or McCarthy might have accomplished if their public relations had been more skillful and better organized. Thoughtful House is naturally disappointed by today’s report from the UK General Medical Council. A careful examination of the full record of the Council’s inquiry will show that the charges made against Drs. Wakefield, Murch, and Walker-Smith are unfounded and unfair. We invite anyone to review the record, and to draw their own conclusions. The work of Thoughtful House on behalf of children with developmental disorders and their families goes on. We are dedicated to the recovery of these children. Our focus continues to be to provide the best possible treatment for these children, and to conduct medical research in order to ensure continuing improvements in the quality of treatment available. Over the last twenty years, my ‘academic’ area of specialisation has been conflict of interest and vested interest. As I say in this essay, the conflict over MMR has been shot through with conflict of interest, manipulated by the medical establishment and pharmaceutical corporations. The fitness to practice hearing at the General Medical Council (GMC), essentially a trial of Dr. Wakefield and two other doctors, has witnessed a number of incidents, the first was when Professor Dennis McDevitt was proposed by the GMC as the ‘Panel’ or jury chairman. When it was disclosed by campaigners that McDevitt had been on the Joint Committee for Vaccination and Immunology that had agreed the licensing of Urabe strain MMR, he was speedily dropped and Dr. Surendra Kumar became his replacement. Well into the hearing in October 2008, I decided to look at Dr. Kumar’s background. I found that at least until the year that the sitting began, he had a shareholding in GlaxoSmithKline, as well as a number of other relationships with drug companies. When this essay was put up on the CryShame web site, rather than simply issue a statement resolving the suggestion of Dr. Kumar’s shareholding, the essay invoked the wrath of the GMC and I was publicly reprimanded by the panel Legal Assessor. After a great deal of argument, correspondence and posturing by the GMC during which they never admitted, denied or explained Kumar’s shareholding, it transpired that the GMC did not have a conflict-of-interest policy. This was particularly ironic when one of the major charges being brought against Dr. Wakefield was that he had not declared a conflict of interest in his The Lancet case-review paper on the relationship between Inflammatory Bowel Disease (IBD) and Autism Spectrum Disorder (ASD). © Copyright 2009, Medical Veritas International Inc. All rights reserved. Conflicting interests damagingly taint health science and medicine. The media has been most influential in this process. Pharmaceutical propaganda facilitates geopolitical and financial agendas particularly obvious in recent years concerning the H1N1 pandemic. In this regard, social conditioning, legislation, and health care administration has been profoundly impacted by propaganda. This study examines a new genre of public health-related Hollywood films, advanced by Michael Moore, funded by “genetopharmaceutical” industrialists and media propagandists. The authors evidence a “hostile takeover” of health science and medicine that has occurred, affecting care providers and consumers worldwide. They urge consideration of the financial forces involved advancing centralized international governance, World Health Organization directives, and a new society assimilating eugenic theology merged with biotechnology for “genetopharmaceutical” industrialization. Other web sites with Wakefield/MMR/Autism stories - editorials - ETC. The most recent is Dr.A. Krigsman’s study of 143 autism spectrum/developmental disorder patients, with chronic gastrointestinal symptoms. 2001: A highly respected and well-published scientist at the Utah State University, Vijendra K. Singh has further linked autism to the MMR vaccine. Rebutal to "No Evidence Studies"